Beat This Caption Contest 4 Winner – Caption Contest Funny Clever Witty Enter Today! Mary was a real looker! 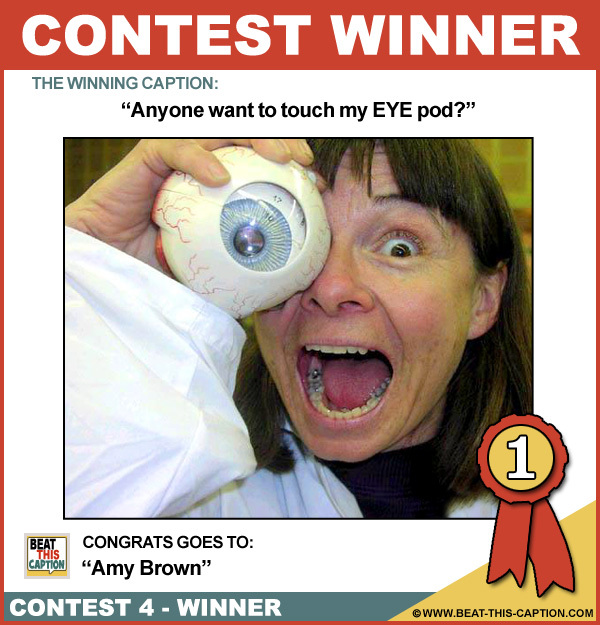 Anyone want to touch my EYE pod? It’s me, myself and EYE. It’s all fun and games til someone pops out an eye. Swallow or it’s going in your eye. As usual at a family dinner, Barbara’s eyes were bigger than her belly.